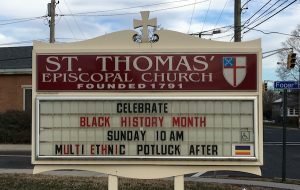 Celebration of Black History Month at St. Thomas’ begins on Sunday, Feb. 3rd with the Rev. 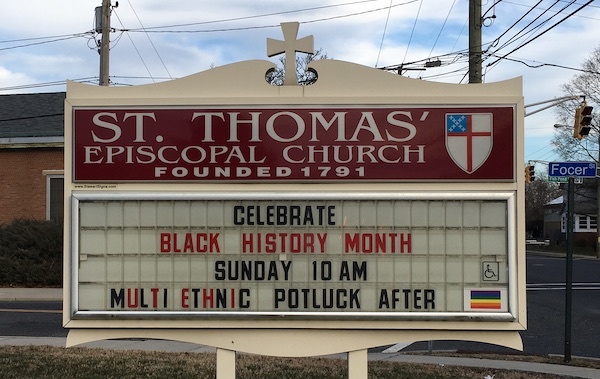 Canon Brian Jemmott as the guest preacher at both 8 and 10 a.m. worship services. Currently serving as the diocesan Canon to the Ordinary, Canon Jemmott also will lead the 9 a.m. Formation Hour class in the Parish Hall. A special luncheon of ethnic dishes will follow the second service in the Parish Hall. All are invited to the celebration.